For those who feels watching different time zone from internet is quite hard (simple, though, takes time to understand) then this net application is totally design for you. 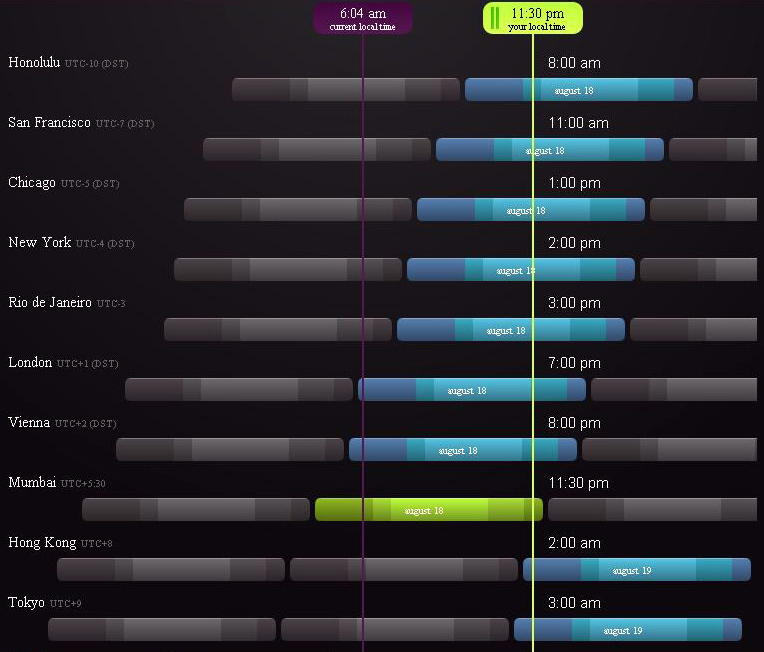 The most unique and simplest part of this application which makes it easy to understand is unique view of the different time zone. The green bar on the top shows your ‘local area time’ just you have to hold and drag it to two opposite sides to check the time for other city/country. Amy Hoy & Thomas Fuchs have created this application in a pure HTML form therefore the application also works in offline mode. I love the punch line they have quoted with title ‘Never warp your brain with time zone math again’ which says everything about Every Time Zone.